Foreign Exchange Regulation Act (FERA) was introduced at a time when foreign exchange (Forex) reserves of the country were low. 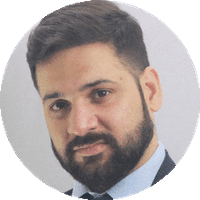 FERA proceeded on presumption that all foreign exchange earned by Indian residents rightfully belonged to the Government of India and had to be collected and surrendered to the Reserve Bank of India (RBI). 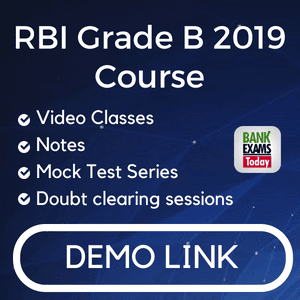 FERA primarily prohibited all transactions that are not permitted by RBI. The objective of FERA was to regulate certain payment dealings in foreign exchange and securities transactions that indirectly affects foreign exchange of import and export of currency and to conserve precious foreign exchange and to optimize the proper utilization of foreign exchange so as to promote the economic development of the country. Authorized dealer- means a person for the time being authorized to deal in foreign exchange. Bearer certificate- means a certificate to securities of which the title to the securities is transferable. Coupon- means a coupon representing dividends or interest on a security. Currency- includes all coins, currency notes, banks notes, postal notes, postal orders, money orders, cheques, drafts, traveller's cheques, letters of credit, bill of exchange and promissory notes. Foreign currency- means any currency other than Indian currency. Foreign exchange- means foreign currency all deposits, credits and balance payable in any foreign currency and any drafts traveller's cheque, letters of credit and bill of exchange drawn in the form of Indian currency but payable in any foreign currency. Foreign security- means any security created or issued elsewhere than in India and any security the principal of interest on which is payable in any foreign currency or elsewhere than in India. Money changer- means a person for the time being authorized to deal in foreign currency. Overseas market- means the market in the country outside India and in which such goods are intended to be sold. Transfer- in relation to any security includes transfer by way of loan or security. Officers of Enforcement can be appointed for the purposes of this Act. The appointment of enforcement officer and their powers are appointed by central government. The Central Government may appoint persons such as it thinks fit to be officers of Enforcement. Subject to conditions and limitations as the Central Government may impose an officer of Enforcement may exercise powers and discharge the duties conferred on him under this Act. At the time of legislation of the law, India had shortage of foreign exchange (forex). The government then tried to restrict the exchanges, or dealings of India with foreign countries. But the rules and regulations had great impact on the import and export of currency. Law violators were treated as criminal offenders. Control everything that was specified related to foreign exchange and aimed for minimizing dealings in forex and foreign securities, etc. With liberalization there has been a move to remove the measures of FERA and replace it with a set of foreign exchange management regulations. A draft for the Foreign Exchange Management Bill (FEMA) was prepared by the Government of India to replace FERA keeping in view of the Indian economy. However until FEMA is enacted the provisions of FERA was applied. 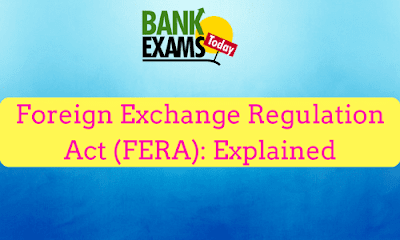 These are important basic information about Foreign Exchange Regulation Act (FERA).